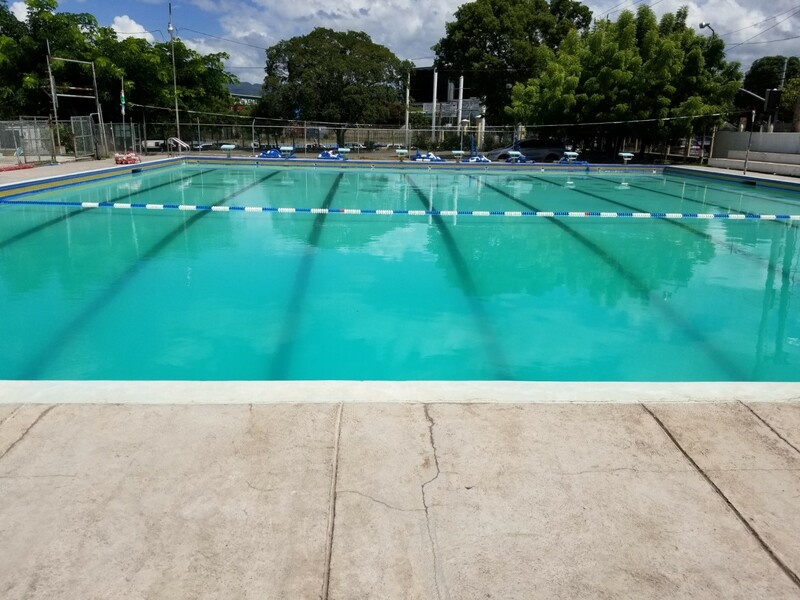 We’re happy to report the installation of the modern swimming pool filtration system at the YMCA Kingston was a success! 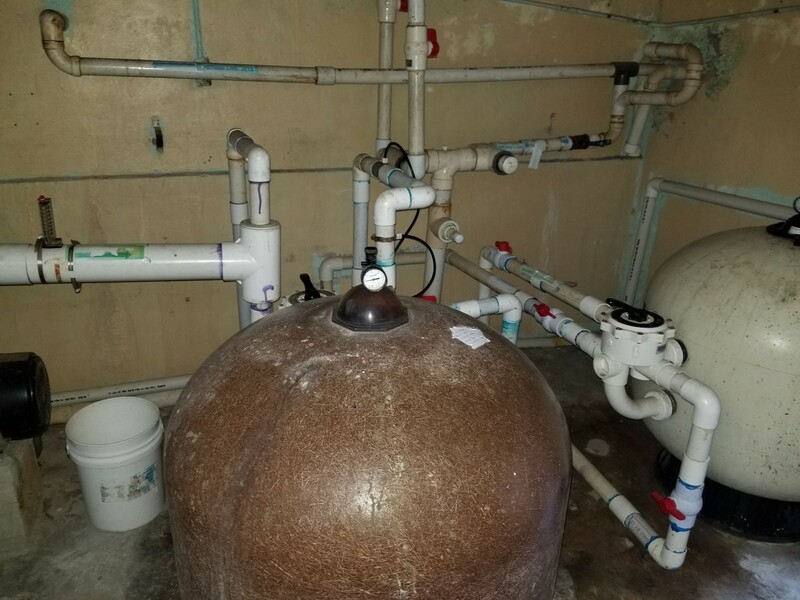 The previous filter and valve combination at the facility were insufficient, antiquated and the associated plumbing was inadequately designed leaving the pool water cloudy. 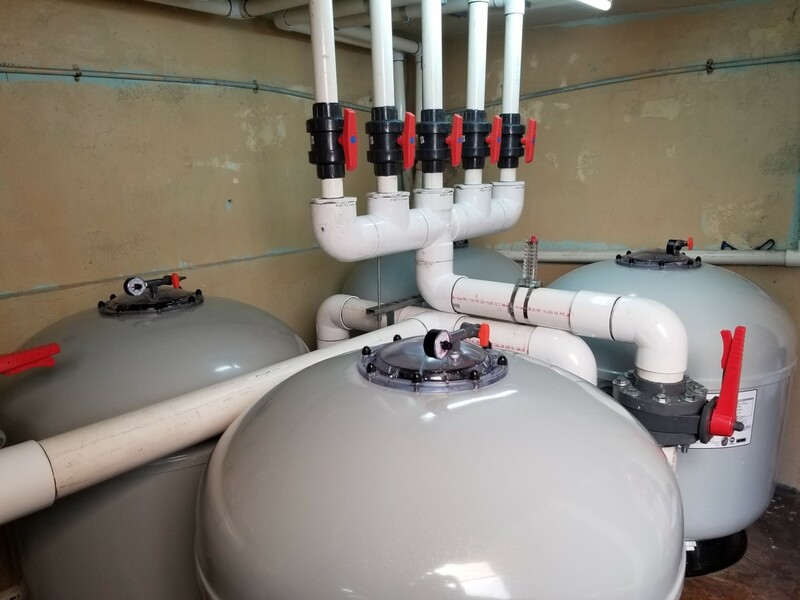 Our goal was to maximize the filtration capacity by oversizing the filter tanks and using minimal fittings and larger pipe diameters to achieve maximum flow rate with an advanced plumbing design. The Continental Pools installers, Rudy Halmo, Pancho Gayle and Nick Lally, made it happen. 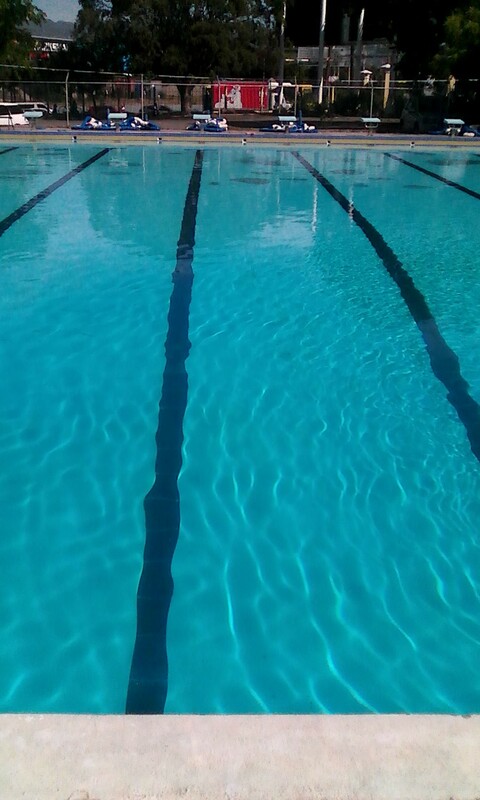 In just 16 hours, the pool water was crystal clear. 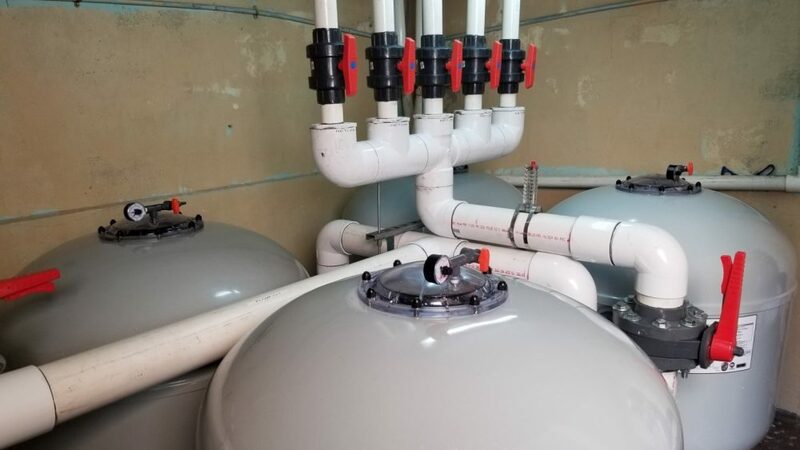 By removing the restrictive multi-port valves, building a low resistance return manifold, and replacing two existing tanks with four commercial fiberglass sand filters, they were able to increase the flow rate in the system by almost 100%. In addition to the flow rate gain, the system went from a previous filter capacity of 280 gallons per minute to an oversized capacity of almost 600 gallons per minute. A special thanks goes out to everyone who made this project possible, including Dan Lawler, COO of American Pool Enterprises, Carlo Buffa, Director of National Accounts at Hayward and Steve Brown, National Accounts Manager of SCP PoolCorp. The commercial pool filter tanks were generously donated by Hayward and the glass filter media, PVC Fittings and valves were donated by SCP. Copyright © 2018 Continental Pools. All Rights Reserved.